With the HMAAC panel discussion on Art and Social Activism, moderated by HMAAC CEO John Guess, Jr. and featuring noted artist and activist Danny Simmons and Syracuse University Professor and Community Folk Art Center Executive Director Kheli Willetts, the museum, acknowledging the vibrancy of the Black Lives Matter movement, continues its exploration of the age old question: Should an artist’s work reflect the issues of contemporary society or should superior artistic aesthetic alone enhance the status of African Americans? 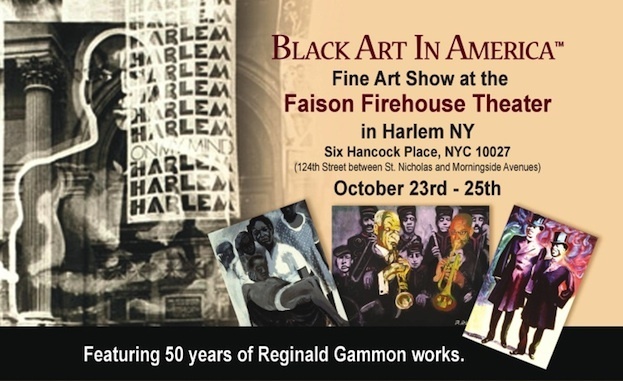 This panel was preceded by the February 20-May 15, 2015 HMAAC exhibition Collision: Representation vs. Abstraction, curated by Danielle Burns, which explored authenticity and representation of the Black experience in visual art resulting from the July 5, 1963 meeting of artists, later to be known as SPIRAL, at Romare Bearden’s NYC studio. In the museum’s March 16, 2013 symposium, Should African Diaspora Artists be Subject to Artistic Constraints, Contemporary Arts Museum Houston Senior Curator Valerie Cassel Oliver moderated a discussion about identity and responsibility between Princeton University Art History Professor Chike Okeke Agulu and artist David McGee.